All summer I have been training for a half marathon. I’ve found a running plan where I do two short runs and one long run a week. I still don’t love running, it’s work. But the cycle of setting goals and achieving them keeps me going. 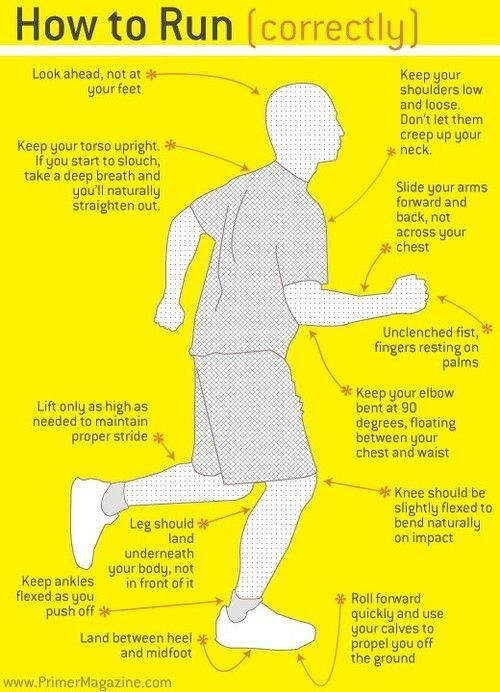 While scrolling through Pinterest last weekend, I found an info-graphic that made me question my running technique. Okay, let’s be honest, I’ve never even THOUGHT about my running technique. Just put one foot in front of the other, right? I looked at this info-graphic and the first thing listed was to look up, not at the ground. I thought about it for a moment and realized that I do look down for most of my run. So I skipped the rest of the technique and thought that if I could change just one thing every run, that by the half marathon I would have a pretty good technique. As I started my run yesterday, I changed just one thing. I looked up. My RunKeeper app told me 5 minutes in that I had gone .51 miles, which is average for me. I typically run about a 10 minute mile. But then something happened, God gave me a word. But first a little back-story. Caleb has been working evenings since we’ve been married. It’s been hard living independently from my husband. I’ve had to find new groups, new ways to get involved so that I don’t come home every night and just sit by myself. Two weeks ago, he had an interview for what I thought was the perfect position. Without going into too much detail, we found out yesterday that even though he interviewed perfectly, there was another candidate with more experience. He was still hopeful about his future at the hospital, but I was angry. I felt so wronged. I had prayed and prayed for this door to be open to us. Once I found out, I thought about either leaving my office to drown my sorrows in a cupcake or immediately start online shopping. God showed me my idols in that moment, but that’s a topic for another post. Now back to my run. I began to pray around that .51 mile mark. I told God that I was disappointed, but knew that He must have a plan. I prayed that God would put the same hope in my heart for Caleb’s future that Caleb had. And just like that, God answered my prayer. “10 minutes, 1.2 miles, average pace 9 minutes 43 seconds,” my app informed me. There it was, LOOKING UP IS THE KEY! Even in the biggest times of disappointment and devastation, all we need is to look to to Him. Elementary, I know, but so powerful! I finished my 4.5 mile run yesterday with an average pace of 8:08 minutes, which is truly a miracle in itself. But more than my average pace, my hope was renewed in the One who gave me something to hope in. He is good! Looking up made the difference in my run, but also in my spirit. Awesome! Will pray for Caleb.